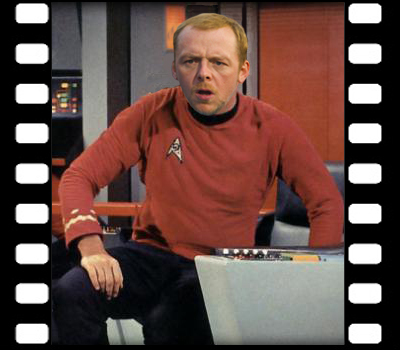 Simon Pegg Plays It Cryptic On “Star Trek” Sequel. | The Cineaste's Lament. Simon Pegg Plays It Cryptic On “Star Trek” Sequel. And the final frontier? “Yep – it’s about the final frontier. And the one before it. I know it’s boring, but one thing JJ installed in all of us is the importance of giving the audience everything they can get from the experience itself. This entry was posted in Film News, Sci-Fi, Sequel-Itis and tagged Chris Pine, JJ Abrams, Simon Pegg, Simon Pegg talks Star Trek Sequel. Bookmark the permalink.